Whether you are a complete beginner looking for some help to get started with the guitar, or a more experienced player looking for a few tips and ideas to improve your playing, I can help. I have been teaching electric guitar, bass guitar, and acoustic guitar to students of all ages and abilities for over 20 years. 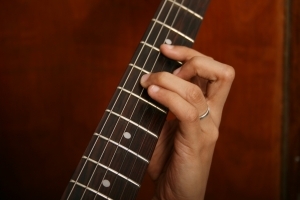 I am an RGT registered guitar teacher and can help you achieve your guitar playing goals. Take a look my private lessons page for more information about one to one tuition or give me a call on 07738 862 054. To find out more about my guitar story head over to the musicians friend website. If you’re looking for inspiration, have a look at my guitarist of the day section for some great performances by a wide range of guitarists and bassists. I also have some advice on buying guitars and accessories. If you are looking for some guitar related funny stuff check out my Guitar funnies section for some true guitar heroes. I teach electric, bass, acoustic guitar, and ukulele in a modern clean studio in Hunmanby and can also do home visits in the Hunmanby and Filey area if you prefer. I am ideally placed for Filey, Scarborough, Bridlington, and the surrounding areas. 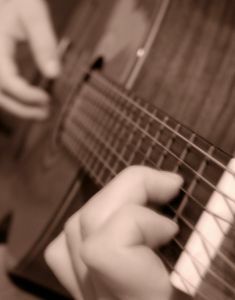 I cover the RGT grades 1 to 8 in Electric, Bass, and Acoustic guitar but you do not have to do the grades if you wish. My courses are tailored to suit your particular interests and musical tastes and cover all ages and abilities. I am fully insured and have an up to date enhanced DBS certificate. I have included a large selection of lessons from complete beginner to advanced level. These lessons are text based at the moment which will allow you to go through them at your own pace. I have also included my beginners guide to music theory which is not too heavy. Enjoy. Reviews of all things guitar and music related can be found here. I get to see a lot of guitars and equipment due to students bringing their own gear with them for me to have a look at. This gives me a chance to not only give my opinion but also to get the students opinion of their equipment. My son plays electric guitar but it has a fault and needs to be repaired. Can you recommend anybody local; we live near Driffield. Sorry, I don’t know of anyone in Driffield, I know a few in Scarborough. If thats any help please drop me an email on stuartmoir777@googlemail.com. Thanks Andy. I enjoyed teaching them songs as they’re some of my top tunes as well. Thanks for getting in touch. Sorry for the slow response. I only just saw this comment.